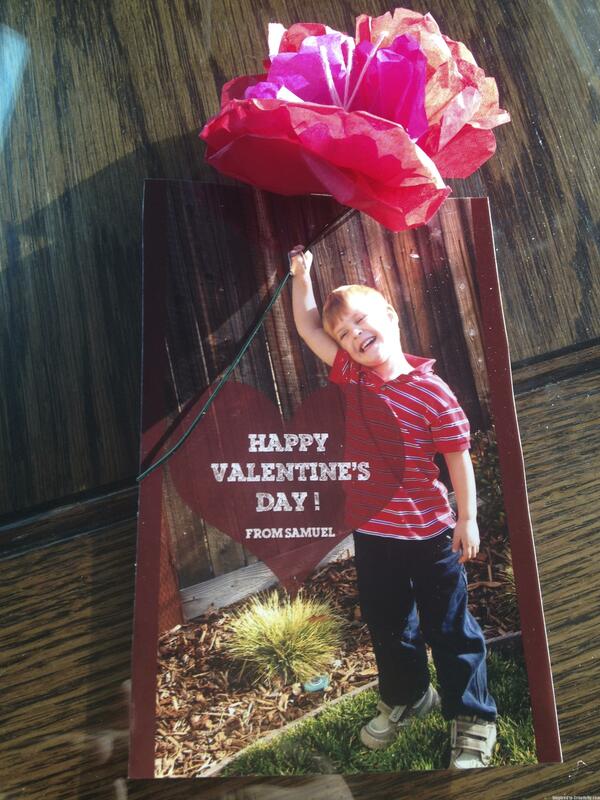 For our oldest’s first Valentines Day at school I wanted to take a fun concept from Pinterest to use as a Valentine’s Day Card (see pin 1 & pin 2). The first thing we did was go out to the backyard and take lots of pictures with our son holding out his fist. Turns out this is fairly hard to explain to a 3 year old, but I was happy with the photo that we used. Using Photoshop Elements I added in the heart with the sentiment, just a semi-transparent shape with text on top. Everything looked good until I went to put it all together. After sending out the photo to be printed I used an craft knife to carefully cut a small slit around his fist. It was at this point I noticed the fist was very small and the slit could easily tear. 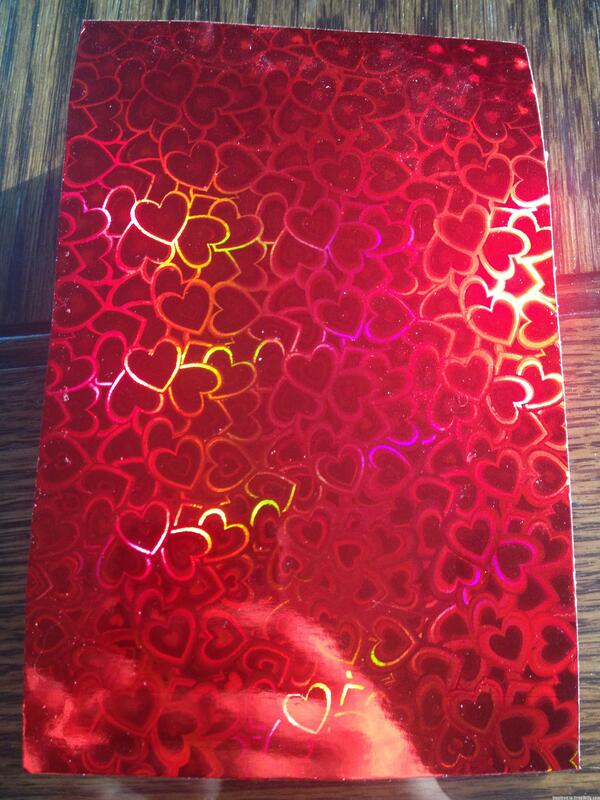 It was also pretty obvious that the photo paper was too flimsy to be used on it’s own, so I got some red holographic heart card stock paper, since he was really into shiny hearts at the time. 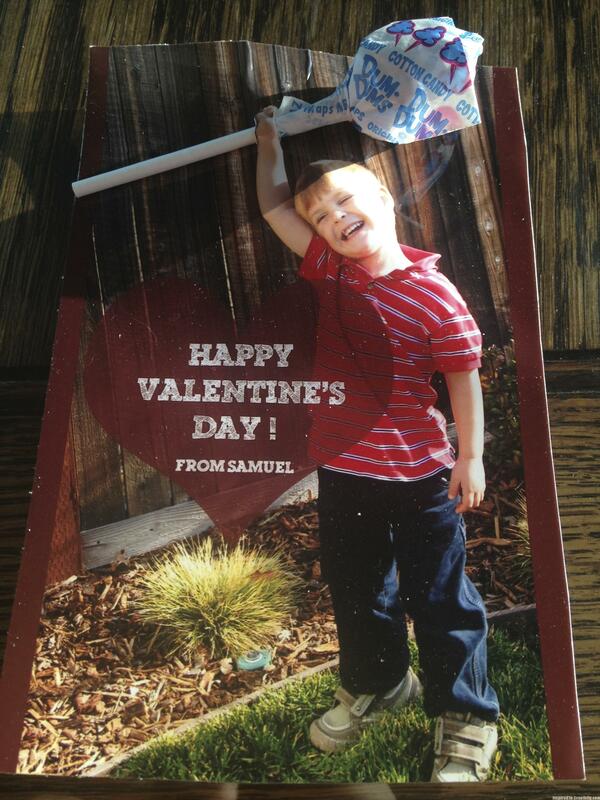 A combination of taping the card stock to the back and taping the back of the lollipop over the slit made it hold up for passing out. I also decided to make some tissue paper flowers for his teachers since I figured they would appreciate something that wasn’t candy.